In 2010, the Treasury Board of Canada Secretariat announced that CLF 2.0 would be replaced by four web standards (new window). Visit Common Look and Feel on Wikipedia (new window) for more information. See also accessibility testing with CSE HTML Validator. Use CSE HTML Validator Standard, Pro, or Enterprise to help comply with CLF 2.0. CSE HTML Validator for Windows can be used to check web documents for issues that can affect compliance with the Government of Canada's Common Look and Feel (CLF) standards. 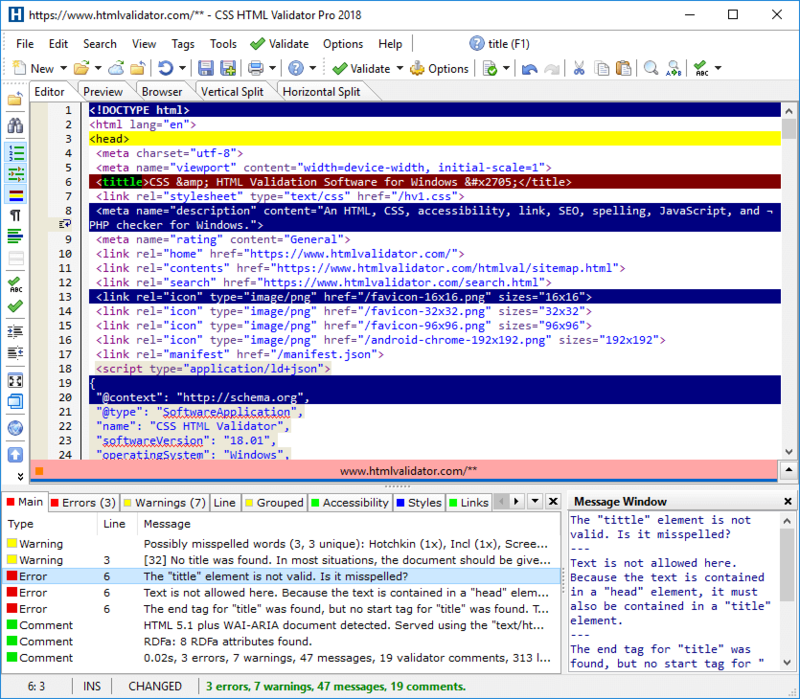 In addition, CSE HTML Validator checks HTML, CSS, accessibility, spelling, links, and more. NOTE: Be sure to turn CLF checking on in the Canada CLF page of the Validator Engine Options (go to Options->Validator Engine Options). For more information, please visit the CLF 2.0 documentation page. Simply open a document in the program, press F6, and the document is checked. It's that simple! CSE HTML Validator also checks for accessibility problems based on WCAG 1.0, WCAG 2.0, and/or Section 508 US government requirements. The Accessibility tab shows the results. Accessibility checking is configurable and can be enabled or disabled. 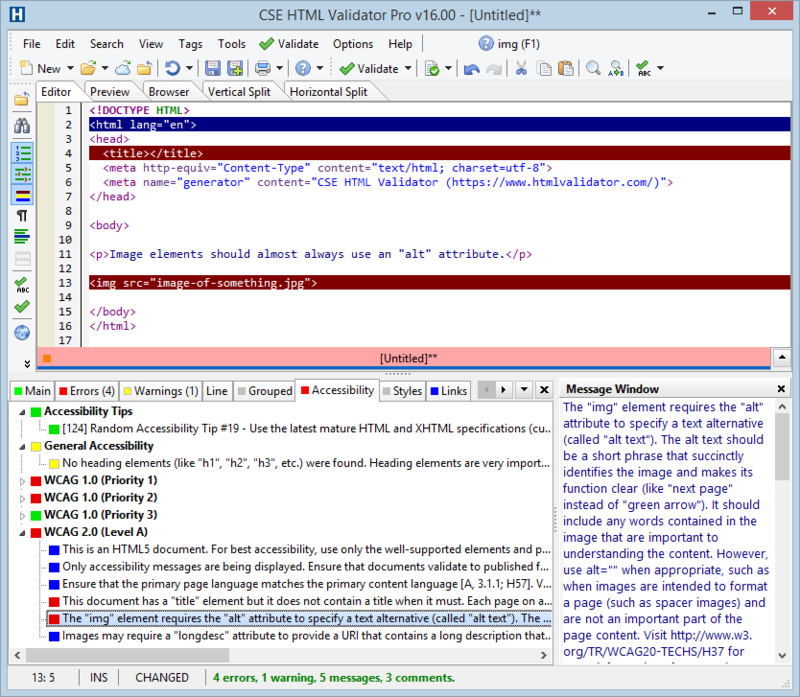 CSE HTML Validator integrates a powerful, lightweight, clean HTML/text editor with a powerful custom validation engine that produces intelligent, thorough, and understandable results.